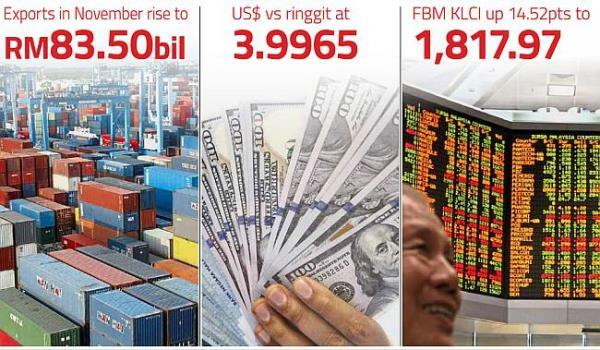 In a synchronised fashion, the ringgit, stock market and exports are all glowing for Malaysia. Add this to the rising price of crude oil, economists are expecting the good start to the year to continue leading up to GE14. Experts foresee these translating to lower import costs and more affordable overseas education. PETALING JAYA: In a rare occurrence, the local capital markets got off to a roaring start in the first week of the new year. 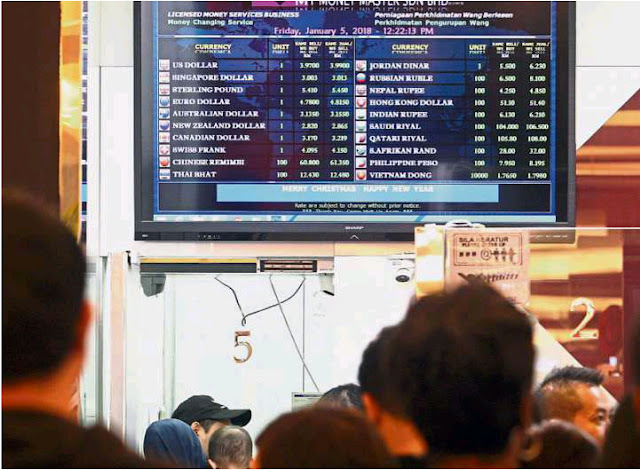 Sentiments on the stock market picked up as it sailed through the 1,800 mark, the ringgit breached the RM4 level against the US dollar and the latest trade numbers released showed that exports have hit record levels. The FBM KLCI, a key benchmark for the local stock market, closed at 1,817.97, up 14.52 points yesterday – the highest since April 2015. Analysts and fund managers expect the upward momentum to continue, leading to the 14th General Election (GE14). “The local stock market is set to continue its upward momentum, with investors in optimistic mood, lingering upon expectations of the GE14,” an analyst said. The Malaysian stock market is now playing catch-up with key regional markets in other countries that have been moving up. For instance, in the United States, the Dow Jones Industrial Average closed at fresh record highs above 25,000. 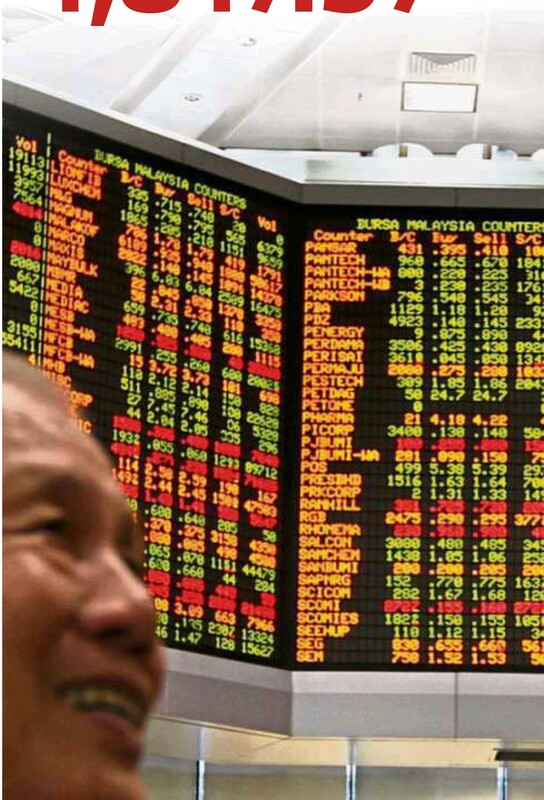 Trading volume on Bursa has risen sharply to a high of nearly six billion shares valued at RM3.94bil. This is the highest since 2014. “The increasing volume is an indicator of more investors joining the fray,” said the analyst. The ringgit also perked up against the US dollar and strengthened to 3.9945 yesterday, the strongest level since August 2016. Crude oil prices continue to climb with the Brent Crude rising above US$67 per barrel. Apart from a brief spike in May 2015, this is the highest price levels it has reached since December 2014, when the oil price started its slide down. 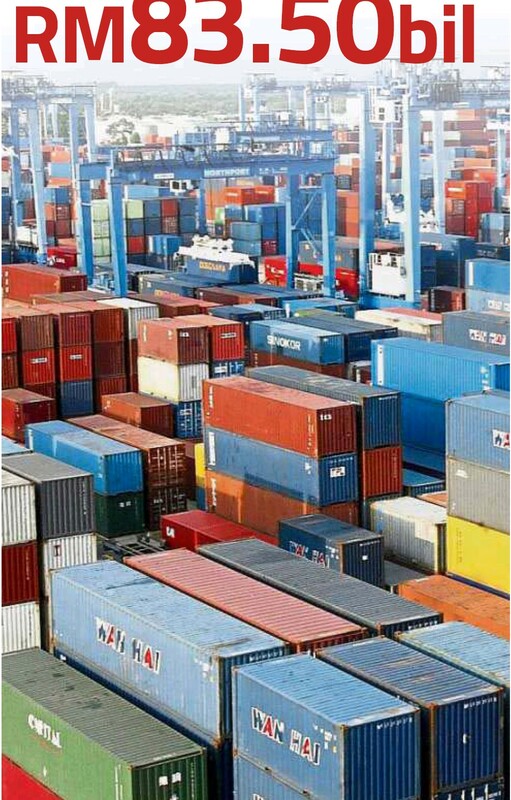 Adding to the optimism, the country’s latest trade data for November showed that exports exceeded expectations and rose to a monthly high of RM83.5bil. This is an increase of 14.4% from last year. The head of UOB Kay Hian Malaysia Research, Vincent Khoo, expects global and local conditions to be favourable for the local stock market as sentiment builds up for the GE14. “Malaysia has been a laggard and now it is reversing its underperformance. Liquidity is strong locally and internationally as there is more foreign funds participation. “Economic numbers are strong and export momentum continues to be solid,” Khoo said. Socio Economic Research Centre executive director Lee Heng Guie said there were continued optimism and positive sentiments on the global economy and markets. He said the tax reforms in the US would beef up corporate earnings while central banks around the world were raising rates. The impending GE14, he added, spurred investors’ interest in the stock market and the recovery in oil prices continued to lift the demand for ringgit. He said the ringgit had a good rally since the last Bank Negara meeting and the upcoming meeting on Jan 29 might see the central bank review its overnight policy rates (OPR) upwards. The OPR now is 3.25% and many are expecting it to increase, a move that would spur banks to raise their interest rates. Additionally, Lee said trade data was better than expected and as long as the macro numbers and earnings deliver, it would lift sentiments on market. Nonetheless, he said investors might be a bit cautious when the dissolution of Parliament was announced. Meanwhile, Oanda head of trading Asia-Pacific Stephen Innes said Bursa Malaysia was playing catchup as the ringgit remained undervalued in a lot of fund managers’ portfolio. “But I think the current run will take us to 3.90 (against the US dollar) but at this stage, I think the market is starting to factor in the Bank Negara rate hike in January. “So we may see a slower appreciation of the ringgit and we should expect profit taking ahead of the rate decision (by BNM) later in the month,” he added. On the external front, Inness said the global equity market rally was benefiting from higher commodity prices in general and specifically oil prices. “The recent supply disruptions are having a much more significant impact on prices given Opec’s (Organisation of the Petroleum Exporting Countries) recent production cut and the market is certainly much tighter than it has been in the past. “Rising oil prices bode well for the FBM KLCI given that oil and gas constituents play a big role in the KLCI make-up. However, I don’t think this is strictly an isolated oil play but it is also rallying on the global growth narrative which is supporting export-oriented firms,” Innes said. Back in favour:People queuing to change the ringgit for US Dollar at a money exchange outlet in Bangsar, Kuala Lumpur. PETALING JAYA: Lower import costs and more affordable overseas education are among the benefits brought about by a firmer ringgit and bullish stockmarket. National Chamber of Commerce and Industry of Malaysia (NCCIM) president Tan Sri Ter Leong Yap said the rise in the ringgit is a sign of growing confidence in the nation’s economy. “These are good signs which have set a feel-good mood for the market. What is most important is for the ringgit to remain stable as business needs this rather than having to hedge on the foreign exchange,” he said. However, a stronger ringgit could act as a “double-edged sword”, Ter added, as exports would now cost higher. “Exporters may not make the windfall profit as before but they had adjusted to this,” said Ter, who is also Associated Chinese Chamber of Commerce and Industry of Malaysia (ACCCIM) president. Malaysia Retail Chain Association (MRCA) president Datuk Garry Chua said a stronger ringgit bodes well for retailers that rely heavily on imports. “In the end, the shoppers will benefit as cost of products would be lower due to the exchange rate,” he said. Chua said the positive stock run was also good news for retailers and consumers. “People tend to spend more due to easy earnings from the market and this is good for business,” he said. Malaysia Associated Indian Chambers of Commerce and Industry (MAICCI) president Tan Sri Kenneth Eswaran said the positive developments showed that the nation’s economic transformation is on the right track. “The ringgit breaking the RM4 barrier and the stock market climb are signs showing the Government’s economic transformation plans are bearing fruit. Traders and consumers will now enjoy lower import costs,” he said. Taylor’s University deputy vice chancellor Prof Dr Pradeep Nair said the ringgit’s rally is expected to continue and strengthen below the RM4 region. “For the education sector, this will be beneficial for parents who wish to send their children abroad to do part or whole of their studies to countries like the US, UK and Australia, should the trend continue,” he said. He said a firmer ringgit would not have a major impact on incoming foreign students. “We are still relatively cheaper than other countries that use English as the medium of teaching and we will remain one of the preferred destinations for foreign students looking for affordable, quality education,” he said. Sunway Education Group senior executive director Dr Elizabeth Lee said some parents would be more willing to send their children abroad for further studies. “I sense that enthusiasm in parents who enrolled their children with us. They are more confident of supporting their higher education throughout,” she said. Ringgit on uptrend: People queuing up to change money at a money changer. The ringgit has broken past the crucial 4.00 level. THE New Year is in, tides are changing and the ringgit is recovering from the past two year’s extreme blues. The long-awaited reprieve has finally come for certain consumer companies that import intermediary goods for their production cycle. Foreigners who have taken advantage by accumulating and buying into the equity and/or bond market when the ringgit was at a weaker level last year, would be firmly in the money now. Analysts see the local currency as now being on a cruise control climb mode moving to new highs in the past week and possibly in the near future. They note that the foreign buyers would see two-way gains and would be able to realise their gains if they choose to. “If they liquidate and take the money out they will realise the gains and benefit. Last year the ringgit strengthened by almost 10.4%. 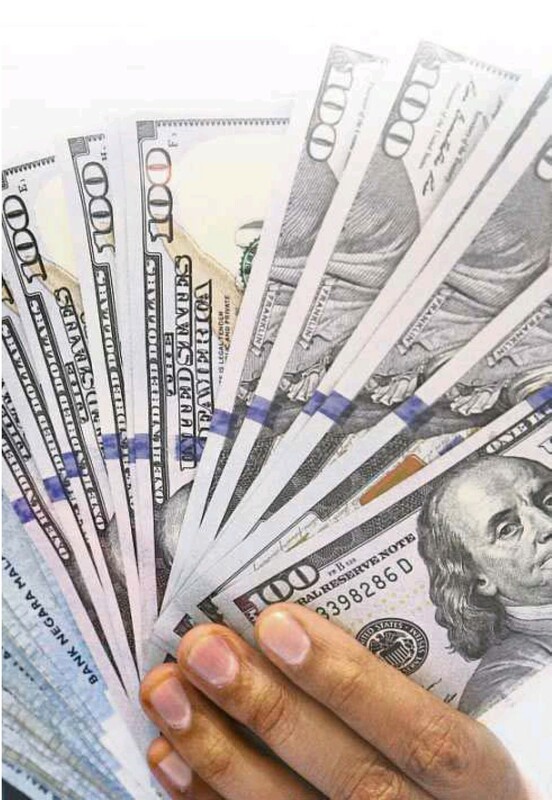 Ringgit already broke the crucial 4.00 level, assuming that they make money from the market and take it out, they will also pay less to convert to US dollar,” Socio Economic Research Centre’s executive director Lee Heng Guie tells StarBiz Week. Currency strategists agree that the next crucial psychological mark would be the 3.80 level that is the infamous currency peg level some years after the 1997 Asian Financial Crisis. The recovering oil prices with the lifting of equity markets due to strong global sentiment aided gains in the ringgit, Lee says. The FBM KLCI saw a strong upward move as investors celebrated Christmas and ushered in the New Year thereafter. The benchmark index had gained some 4.6% since Dec 19 to yesterday’s close at 1,817.97. Meanwhile, the other companies that will stand to gain are consumer-driven companies especially those that have imported intermediary goods to manufacture or complete end products. Lee says the strengthening ringgit, if it is sustained, would eventually help to boost the consumer sentiment index (CSI). In the latest reported third quarter of 2017, the Malaysian Institute of Economic Research (Mier) said the CSI continued to remain weak with the index having retreated further to 77.1. “Anxieties over higher prices grow and (there are) burly spending plans amid waning incomes and jobs,” the Mier said at the release of third quarter CSI figures then. Any CSI level below the 100 indicates weakness on the consumer front. Lee says he is hopeful the stronger ringgit would help eventually translate to additional cost savings to the consumer in the form of lower prices. Meanwhile, MIDF Research’s consumer stocks analyst Nabil Fithri says not all consumer companies would automatically gain from the strengthening ringgit. He notes that the gainers among the consumer companies would mainly be those which derive their sales from the local market and have imported intermediary goods in the supply chain. “On average, the companies that import their raw materials lock in the prices through forward contracts for the upcoming six months. So, if there are any gains to their profit margins, it would be seen in the second half of the year,” he says. 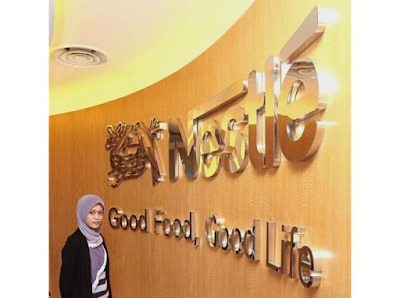 Among the companies that stand to gain from this trend are the major consumer food companies such as Fraser & Neave Holdings Bhd (F&N), Nestle (M) Bhd and Dutch Lady Milk Industries Bhd. Strong gains: The Dutch Lady Milk Industries factory in Petaling Jaya. The company’s stocks had been making strong gains since last year. Better profit: Nestle Malaysia is one of the companies gaining from a strong ringgit. All three stocks have been making strong gains in their share prices last year despite their high base. Observers note that a common theme today that belies these stocks are that they derive their sales from the local market, with minimal or zero exports. Hence they will benefit from strong gains should the local currency appreciate further. “Their raw materials that form a big part of their production are ingredients such as milk, coffee and sugar which are not readily available locally. They need to be imported and these are denominated in US dollar,” an analyst with a local research outfit says. Two of those stocks that were mentioned above topped the gainers list on Friday: Nestle rising by RM1.20 to a new historical high of RM103.80 and F&N hitting an alltime high of RM27.82. Investors may also want to train their sights on the smaller-capitalised consumer stocks some of which had been at a disadvantage earlier due to the weakened ringgit. The stocks in this space include Apollo Food Holdings Bhd, Hup Seng Industries and Berjaya Food Bhd. Apollo Food, the maker of packaged confectionery products see a big part of their sales being derived locally and their food is usually stocked in the school canteens. The stock is trading at a current price to earnings ratio (PER) of 23.6 times and forward financial year 2018 ending April 30 (FY18) PER of 18.96 times. The company’s second quarter profit had dropped by 11.1% to RM3.82mil primarily due to the lower ringgit then compared to the same quarter a year ago. When the ringgit was trading above the 4.00 level then, the company had said in its prospectus that its operating environment was more challenging due to the increase in costs of raw materials. Meanwhile, Berjaya Food Bhd could see further gains ahead as the ringgit continues its ascent. The company owns half of the popular Starbucks franchise in Malaysia beside owning the worldwide Kenny Rogers Roasters franchise after acquiring KRR International Corp of the US in April 2008. AmInvestment Bank Research said last month that it believed the worst is over for Berjaya Food with KRR’s robust same store sales growth following the disposal of KRR Indonesia. The research house had highlighted that Berjaya Food would benefit from a stronger ringgit. AmInvestment Research maintained its buy recommendation on Berjaya Food with fair value of RM1.91 per share. “Valuations are pegged to a PER of 25 times FY19 forward, reflecting a 20% premium to its historical valuations. We think that it is justified as Berjaya Food has significantly enhanced earnings visibility following the disposal of KRR Indonesia, attractive growth off a low base and a stellar Starbucks brand,” it says. Who is sabotaging Penang undersea tunnel project? Penang hit by floods again ! Do you earn enough to sustain your lifestyle? Think Global, Act Local; Change & Grow Rich; Sow as You Reap & Soar High! Rightways: Sowing the seeds of Success! Theme images by UteHil. Powered by Blogger.